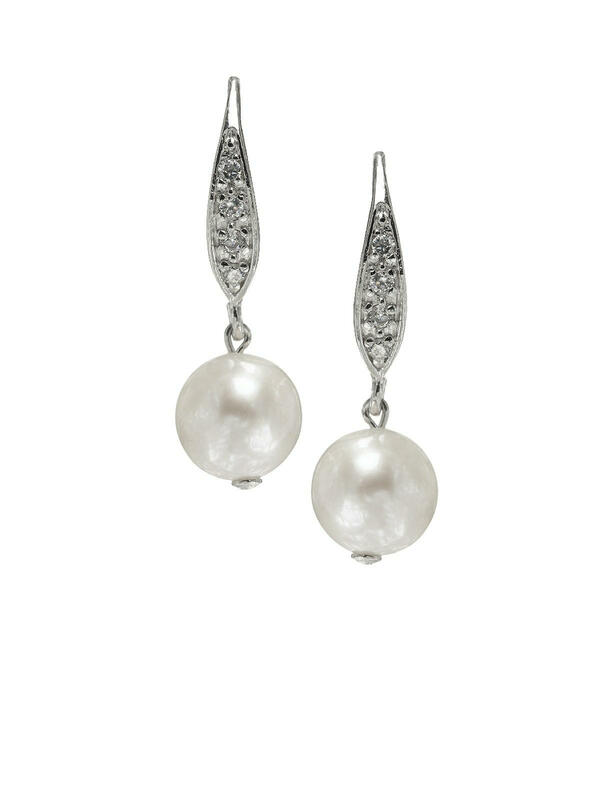 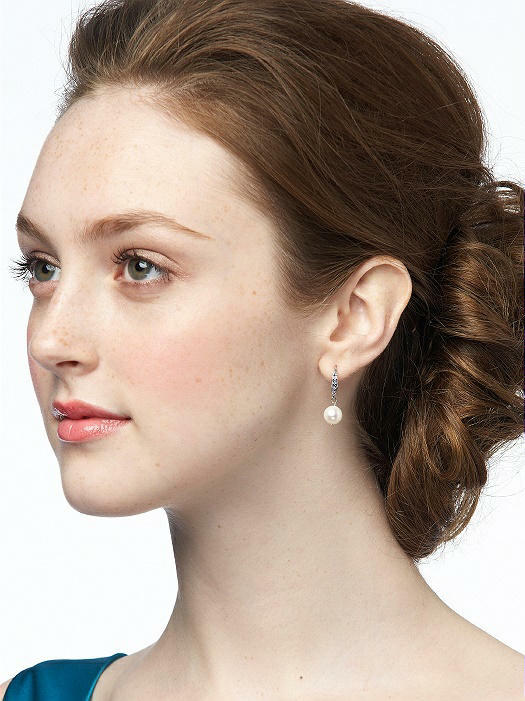 Pearl drop earrings with sparkling cubic zirconia pave detail. Hook style earrings; genuine freshwater pearls size 7-8 mm. Presented in a silver gift box.